Heat Oil and add Mustard Seeds and when they splutter add Curry leaves. Pour this over the Guava raitha and mix well. Serve Guava Raitha with Phulka. 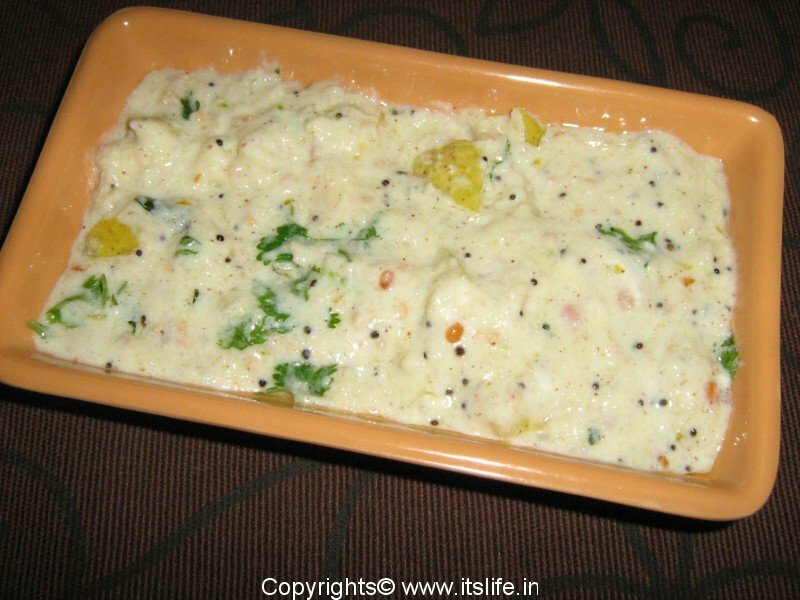 Asha…this dish is popular in Maharashtra and North Karnataka and they call it Peru Koshimbir. Wow, never heard of this recipe before, I have a couple of guavas sitting on my table..will give it a try. Rekha, it is the best way to finish off ripe Guavas.